Say goodbye to tiny combs and tubes of mustache wax! 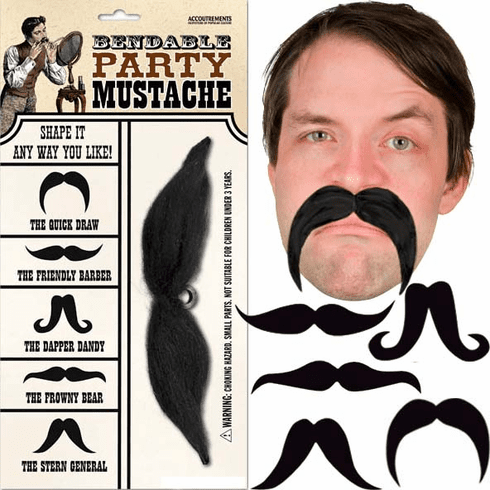 The Bendable Party Mustache features a flexible internal wire that allows you to quickly and easily shape it any way you like! Each luxuriant, synthetic hair mustache is 6-3/4" (17.1 cm) long and fits on your face with a rubber piece that gently clips to your nose.